The first port in the UK to offer a discount for vessels with lower emissions. The first port authority in the UK to deliver an Air Quality Strategy. No more single-use plastics across the PLA’s offices, workplaces and vessels. 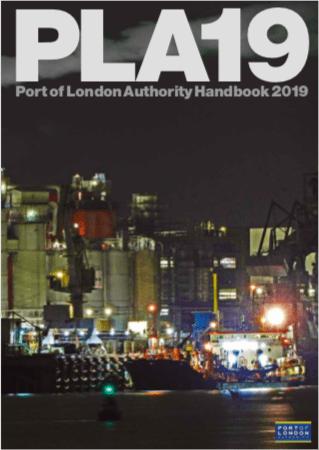 From its highly praised Green Tariff for cleaner shipping to its ground-breaking Air Quality Strategy, the PLA continues to lead the way in terms of commitment to protecting the environment. London was the first port authority in the UK to offer a discount on port charges for vessels with lower emissions and the first to deliver a detailed, long-term strategy for reducing emissions. Department for Transport (DfT) as a good example in clean air strategy. There has also been widespread praise for the PLA’s Air Quality Strategy, which aims to reduce emissions while also facilitating the future growth of both port and city. Now the DfT has turned to the PLA for support in encouraging other ports along this path. The strategy’s five-year action plan features a series of detailed policies, including exploring shoreside power for vessels; monitoring new emissions-reducing technology being trialled by MBNA Thames Clippers; sharing best practice; real-time monitoring; and continuing research. Emissions monitoring has been steppedup. To enable passive monitoring of air quality, 11 diffusion tubes have been installed between Richmond and Greenwich; these can be sent to the laboratory for detailed analysis of levels and types of emissions. Real time monitoring will be undertakenthis year, initially in Greenwich. This system gives a clearer idea of the specific source and type of combustion that is generating emissions. The plan is to expand this to a network of real-time monitoring along the tidal Thames in 2020. In 2019, the PLA will take a major ‘green’ step forward with the introduction of a new hybrid powered pilot cutter, one of the first in the world. Being built by Goodchild Marine, this vessel will replace the older Patrol – which currently generates 10% of the PLA’s total carbon footprint. The PLA is also trialling the use of green diesel fuel in its harbour vessels. residents, visitors and river users to change their behaviour, bin their litter and recycle more, in a direct fight against the 300 tonnes of rubbish found in the river each year. The aims of the campaign have been thrown into even more sharp relief as public opinion intensifies on the issue of plastics and other litter in the world’s oceans. Nearly half of all the rubbish removed from the Thames is food and drink packaging. The PLA has created the first ‘natural capital account’ for the Thames, with a green ‘balance line’ and has identified a site in the Thurrock area with the aim of achieving significant habitat improvements within 18 months. changing from single-use large plastic water cooler bottles to refillable mains-supplied bottles. Milk now arrives in glass bottles wherever possible and caterers are required to deliver food in reusable trays, crockery and cutlery. More complex, but being worked on – cable ties and plastic bags in some operational situations.